Are you loving the new release of Crafty Sentiments Designs? I sure do. I loved coloring this stamp called Baskets of flowers. I think you would never have enough boy's stamps, and this is so cute!! I made a CAS card using a embossing folder with two different colored cardstock, trying to get similar colors than in my coloring. I cut the image around with decorative scissors. The stamp is colored with Copic markers. 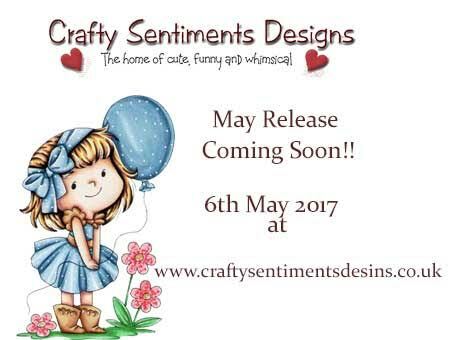 The stamp will be available, with the rest of the new release, at the Crafty Sentiments Designs very soon. Don't forget to check! I hope you liked the card. Don't forget that we have a challenge going on!. Fabulous coloring! I just love the bright colors you used! Thank you for joining us at Creative Fingers Challenges.